to prepare for your professional or amateur medal tests or exams. 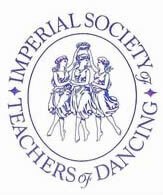 The purpose of certification is to maintain a high standard of dance. Throughout the process of preparing for an examination, a very thorough understanding of the material is achieved. 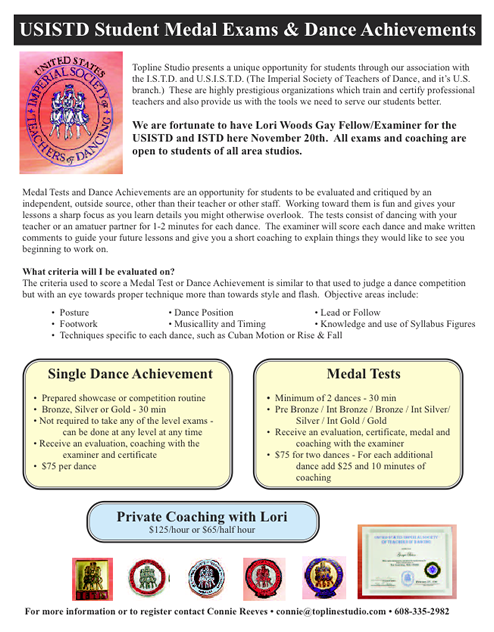 Upon the successful completion of your first exam, you will belong to a prestigious ballroom dance organization. You will receive recognition for your knowledge. Your students and your studio will like knowing you are certified. This certification is entirely portable in the event you need to move or change studios. Preparing for a certification exam expands your understanding of dance concepts, improves your verbal and presentation skill, teaches you precise vocabulary for describing technical elements of figures, sharpens your knowledge of musical terms, and enhances your choreography skills. Training focuses on proper execution of each step and pattern as a leader and follower; technical training; how to read, understand and utilize syllabus manuals and how to prepare for your certification. Professional certification training can be done through private lessons, group classes, visiting trainers, or seminars.